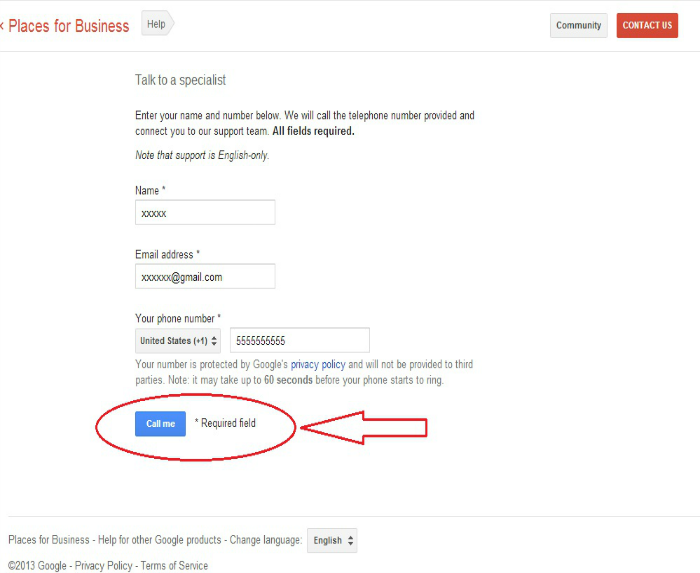 Get Google to call you! 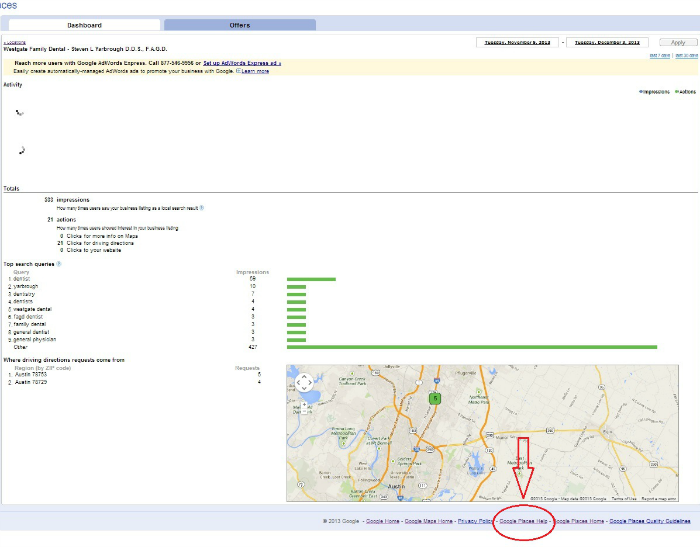 Are you having issues with your new Google Maps listing for your business? I’ve had a bunch of questions regarding this and how to fix this. Easy, have Google call you! Some of you might have noticed something wrong with your maps marker or Google Maps or information in general. Some stayed the same, some disappeared/re-apparead, markers have moved, information didn’t stick. 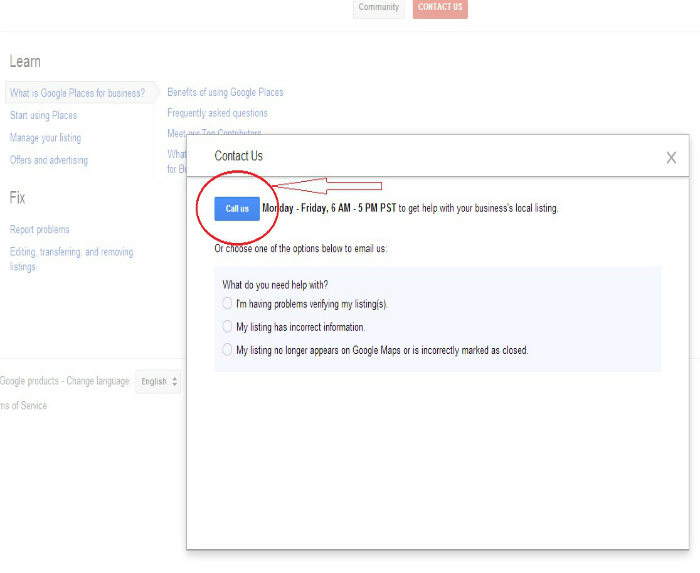 Whatever the case may be, if you use Google Maps and are having a difficult time getting your maps issues resolved by filling out the online form “fix your listing” with Google here’s a little trick and a not so obvious thing I just learned about Google. You can have them call you! That’s right! You heard me right, and in my experience the phone call is immediate. Here’s how! How Do I Get Them To Call? TIP: You have to use your business phone number associated with your account, you can’t call from just any phone, keep that in mind. When they call you it will say press 1 for a Google specialist, and sometimes when you press one it keeps repeating it, just continue to press 1 you will be directed to a Google Specialist. More than likely, your Google specialist can make the changes to your account almost immediately do NOT let anyone tell you it will take 7 days for changes to take affect. I’ve asked Google every time I needed to make this call to make the changes immediately and they’ve done it! Can I have Google change something else on my account? Yes. If you have multiple business listings on the map or Google accounts you can have them combine all the listings for you. I recently did this for a client of mine. They had 3 listings in three separate accounts, they had reviews on all the sites and their maps were incorrect. 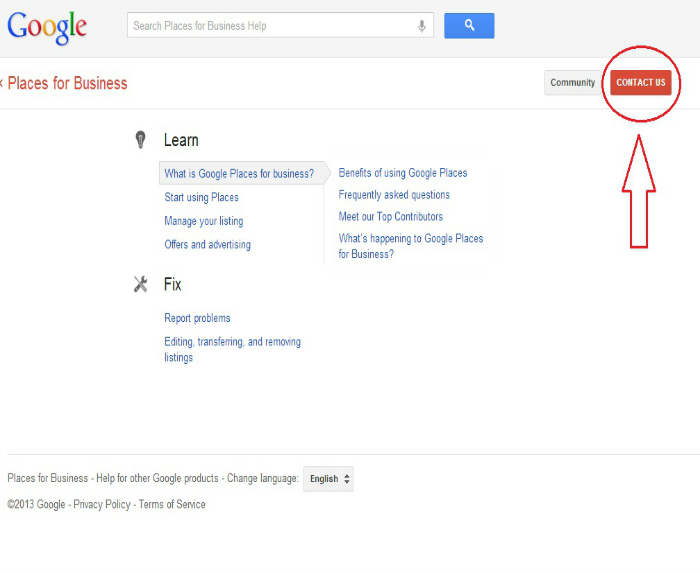 Google was able to combine the accounts under one account, combine all the reviews and fix the location marker. Boom! As often as you like! I am always checking and making sure the Google listings for my clients are correct because they can change from time to time from Google glitches. If this happens Google will fix it for you and sometimes give you an email address to email them if it continues to happens.